I can’t believe it’s March already! Time is positively flying…I already gave you a recap of the coat styles I’ve been wearing this (and last) winter but I don’t want to withhold my monthly outfit recap for February. 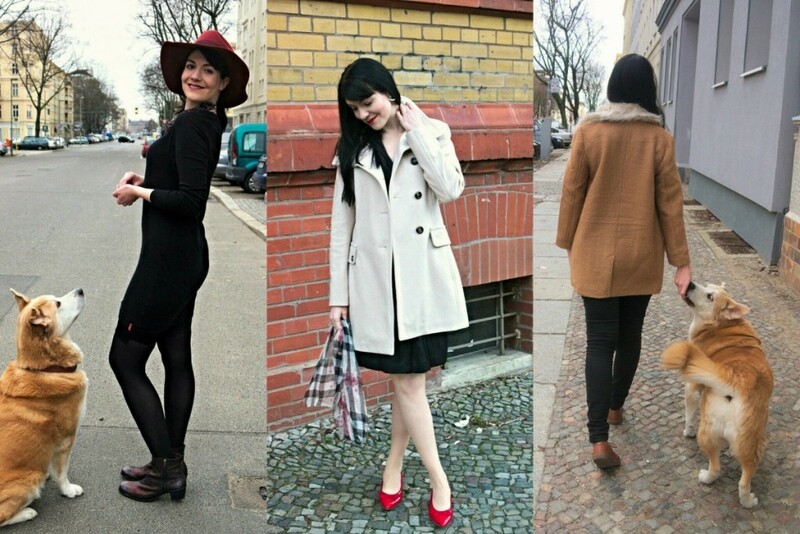 I actually find these overviews quite useful myself in keeping track of my own outfits over the years. I realize I’m quite late again with last month’s review but the first week of March has been crazy busy for me. Sometimes you really wish for more than 24 hours in a day and even then…dividing your time between a 40 hour job, your dogs, friends and even occasional housework (I could desperately use some spare time for a wardrobe clean-out for example) leaves precious little time for blogging sometimes. Do you feel that way too sometimes? All in all, I love that the first signs of spring are becoming visible around here and I’m actually looking forward to more light and milder temperatures. I hope to finally be able to get outfit shots after work again which was made impossible by poor light conditions these past few months. I hope you all had a great start to the new month and are looking forward to spring as much as I do. I will finally have a few new outfit posts ready over the next few days. Thank you – have a great weekend too! Gorgeous looks! I love the second one the most. Nice blog! Thank you very much Hun! Have a great day! Lovely outfits and I really like your red hat! Was für tolle Outfits. 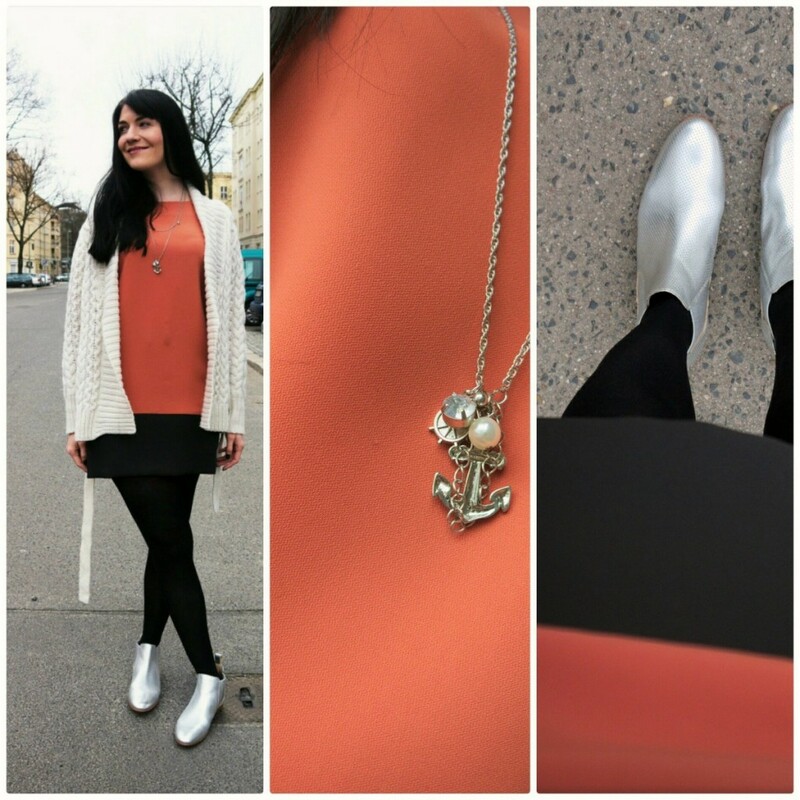 Der erste Look ist mein Favorit. Looks like it was such a great month! So many good outfits. Thank you Amy Ann :) I didn’t have as much time as I would have liked but at least I got some things done! Nice outfits…I like the white coat:classy and elegant!! Thank you Sophia :) I feel white is always a good choice! Love the total black look!!! Thanks Chiara! It’s actually an outfit throwback to three years ago, glad you like it! Cool recap, you’re so stylish! zunächst einmal möchte ich mich bei dir für deinen lieben Kommentar auf meinem Blog bedanken – zum Thema “2Gilrls1Style”. Aber auch hier sehe ich sehr schöne modische Kombis. Zum einen finde ich deinen cremefarbenen Mantel toll und die silbernen Stiefelletten sind ja wohl ein Traum – ich liebe silber als Modefarbe. Würde mich freue, dich öfters auf meinem Blog begrüßen zu dürfen – freue mich über jeden Kommentar. 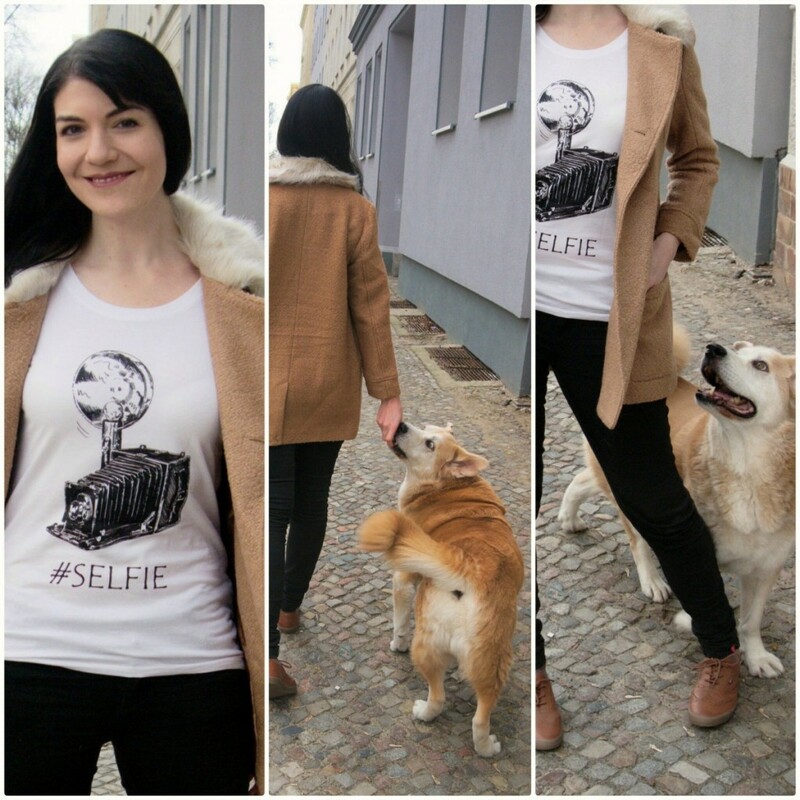 Wunderschöne Looks und die Fotos mit deinem Hund sind wirklich zuckersüß :) Manchmal mache ich auch Outfit-Bilder mit einer meiner Katzen. Great outfits! I really like the splashes of red (including those terrific heels) sprinkled through. 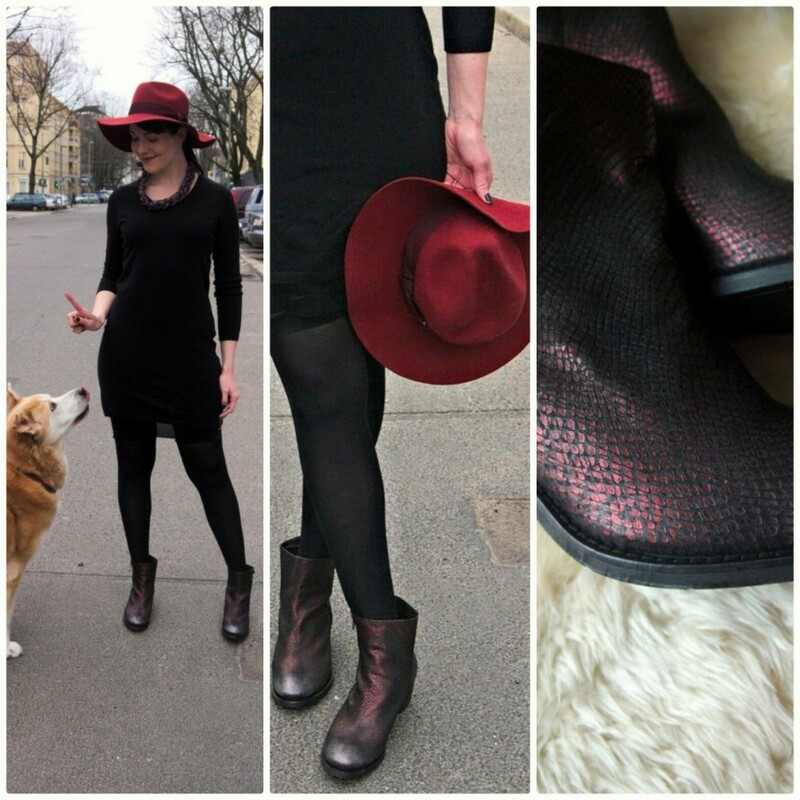 I wear a lot of red the whole year through, but it practically becomes a uniform (along with black, grey and white – though not always together) during the winter months. Many thanks your lovely comment on my Christmas outfit post. It’s a pleasure to “meet” you.